The latest operating systems developed by Apple are capable of working with NTFS hard drives, even though it's a function that is initially deactivated. That is what OSXFuse has been developed for. 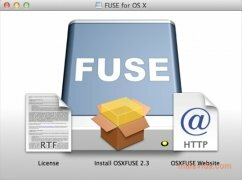 OSXFuse is based on MacFUSE and its is an interface for the NTFS-3G driver that allows you to read and write NTFS hard drives in the latest operating systems by Apple. Once you launch it you'll be able to perfectly configure your Mac so that it's capable of working with this kind of hard drives. It's a tool that was first developed for Linux environments, it's open source and, therefore, free. 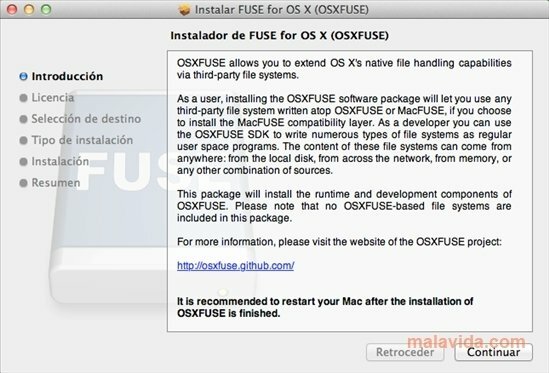 It's very easy to install and offers you the possibility to carry out the corresponding settings on your computer very easily. The tool takes up a space in the complement panel of the settings panel of the operating system and recognizes the NTFS hard drives as soon as they are connected. 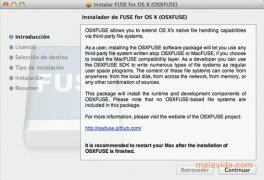 Download OSXFure for free to read and write NTFS drives on your Mac OS X operating system. 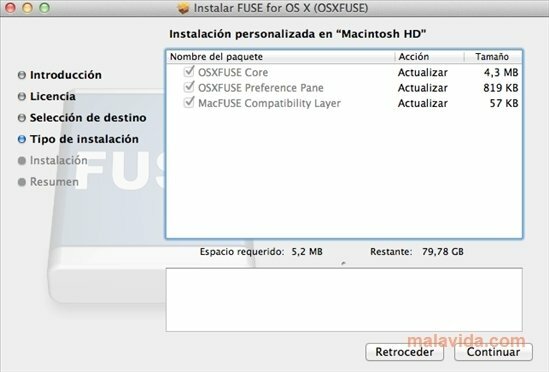 Minimum operating system requirements: Mac OS X 10.5.